FORT ATKINSON - Helmut Ajango, age 81, died on Nov. 15, 2013. Ajango was born on Nov. 30, 1931, in Voru, Estonia. He and his family fled to Germany when the Communists occupied their country in 1944. They lived in a DP camp in Germany until 1949, when they were able to immigrate to the United States. He graduated from Wittenberg University in Springfield, Ohio, with a degree in art and mathematics, and from the University of Illinois at Urbana-Champaign with a degree in architectural engineering. He opened his own office in Fort Atkinson, in 1962. He was awarded the Plym Fellowship from the U of I in 1966, which allowed him to spend six months studying European architecture. He received the Young Man of the Year award in 1965, and served as president of the Fort Atkinson Jaycees in 1963. He designed more than 175 churches and a host of various residential, commercial and institutional projects. His best known local design is the Fireside Restaurant and the nearby Gobbler Restaurant. His work was influenced by prairie-style architecture, and was included in the Wright-and-Like tours. 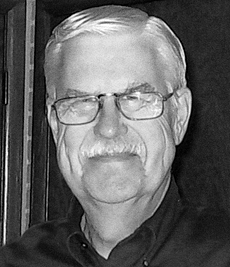 He served on Fort Atkinson's Board of Zoning Appeals for many years and was the Science Fair Honoree in 2002. In 2008, he was awarded Small Businessman of the Year Award, and in 2012, he was recognized by the Chamber of Commerce for his 50 years of business in the community. Over the years, Ajango participated in the Gates program to familiarize school children with what an architect's work includes, sometimes coming dressed in Wright's famous cloak and hat. He job shadowed 20 to 25 kids, many of whom went on to become architects. He was a member of Grace United Church, which he designed and helped build. He enjoyed racquetball, downhill skiing, dancing and rooting for the Packers with his family. He is survived by his wife, Martha; their daughter, Deborah (Blaine) Smith of Eagle River, Alaska; a son, Michael (Janet) of Green Bay; daughter-in-law, Alisa Ajango of Cedar Rapids, Iowa: a sister, Helle (Ken) Martin of Milford, Ohio; and a brother, Vaino (Nancy) of Indianapolis, Ind. ; seven grandchildren, Alison, Grant, Dan and Kelsey Ajango, Lauren Beth Petty Ajango, Niina Konz, and Jessica Jakoubek; and two great-grandchildren, Lynsie and Tygan Jakoubek. He was preceded in death by his son, Brad; his mother, Irene; and his father, Heinrich. A memorial service will be held on Monday, Dec. 2, 2013, at 11 a.m. at the FIRST UNITED METHODIST CHURCH, 320 S. Main St., Fort Atkinson. Visitation will be held in the church Helmut designed, GRACE UNITED CHURCH, 1631 Janesville Ave., Fort Atkinson, on Sunday Dec. 1, 2013, between 7 p.m. and 8 p.m. In place of flowers, memorials may be made to the Alzheimer's Association. The Dunlap Memorial Home is assisting the family. Elroy "Crazylegs" Hirsch, a college football star, member of the NFL Hall of Fame and a longtime athletic director at the University of Wisconsin, died early this morning in Madison of natural causes. He was 80.